Ohhh man just look at this beautiful sight. I love food so much and this meal is something that I cook probably every month. Now I have to give credit where credit is due, I found the original recipe at Pioneer Woman's blog, but modified it a little. Oh if I could sit down for coffee with anyone on this earth it would be this lady. Sometimes I wish I was her... shhh don't tell anyone. Sorry, confession time is over. Hopefully this recipe we are going to conquer some food fears. 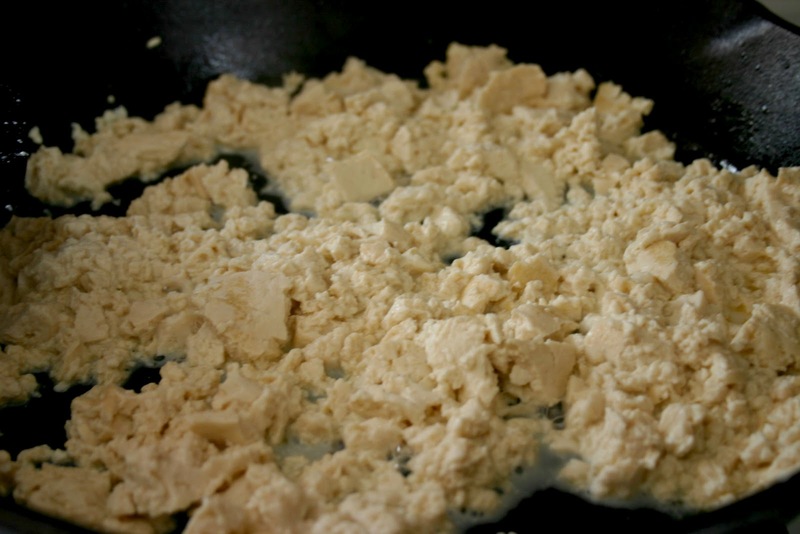 Today it's called tofu. 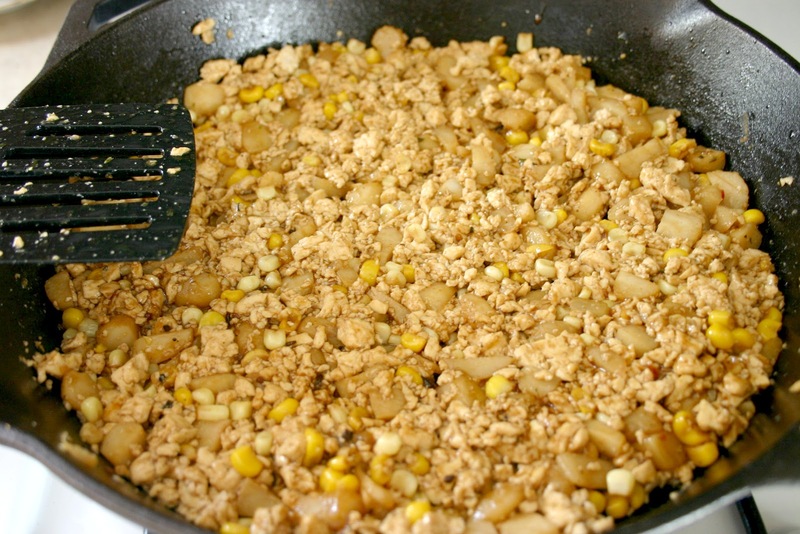 Coming from someone who was raised on tofu, here is the secret: it tastes exactly like whatever it is cooked in. There you go, nothing to be afraid of! 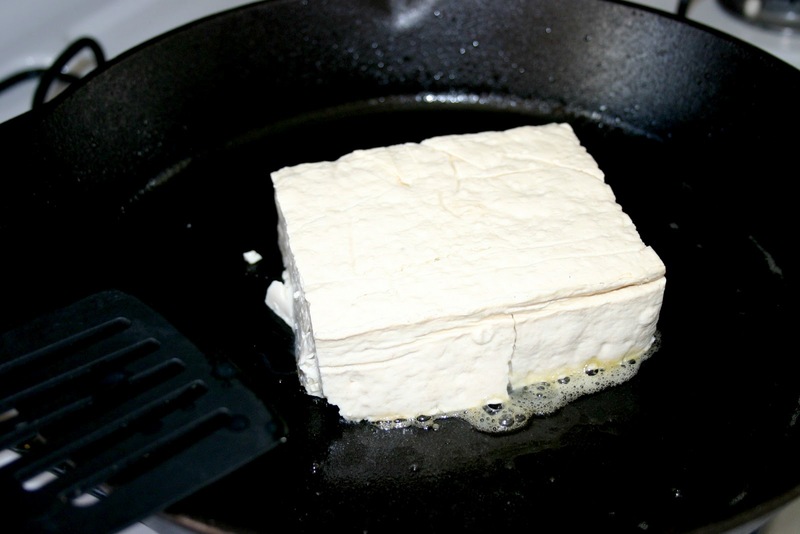 And if you want a little nutrition background on the benefits of tofu, I'll give it to you and if you don't care feel free to skip ahead. 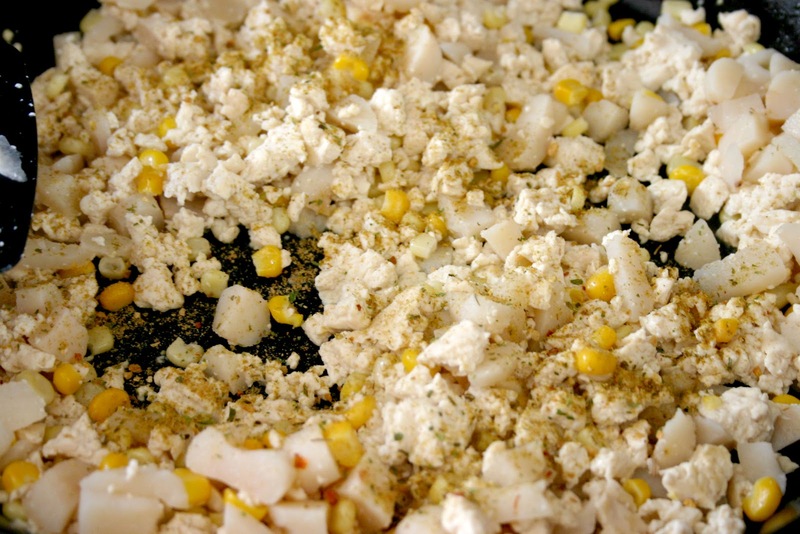 Being a vegetarian, I am always looking for ways to incorporate more protein into my diet. Now protein is categorized into two different types: complete and incomplete. Your body can only use complete protein, and complete protein is only ever found in animal products, and tofu. 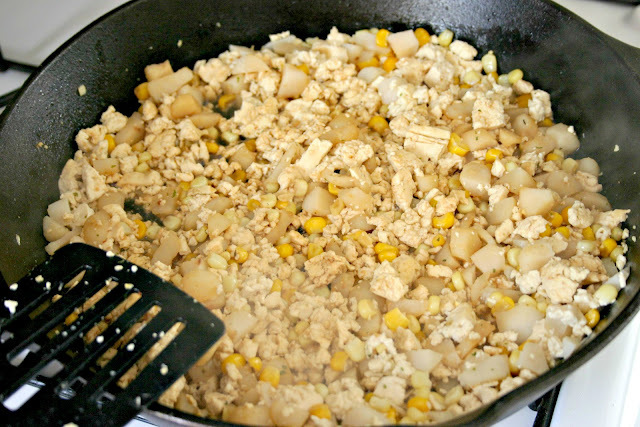 So being vegetarian that limits me to eggs, milk, and tofu. 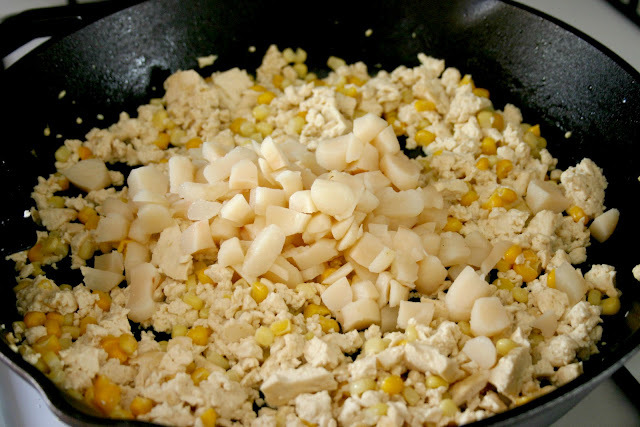 Needless to say I love to find different ways to cook tofu, and here is one of my favorites. Thanks for sitting through that. Now onward! To begin, I used one package of firm tofu however, if you are cooking for more than one person, I advise using more than that. So I rinsed it gently, and tried shake out as much excess moisture as I could, before I put the whole thing on a frying pan greased with olive oil. Great stuff. 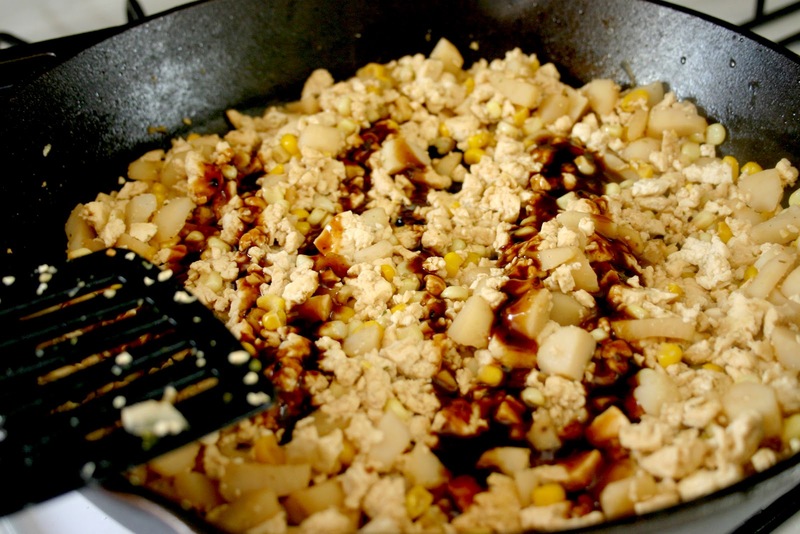 Now mush it with your spatula. Mush it real good. See all that liquid in there? 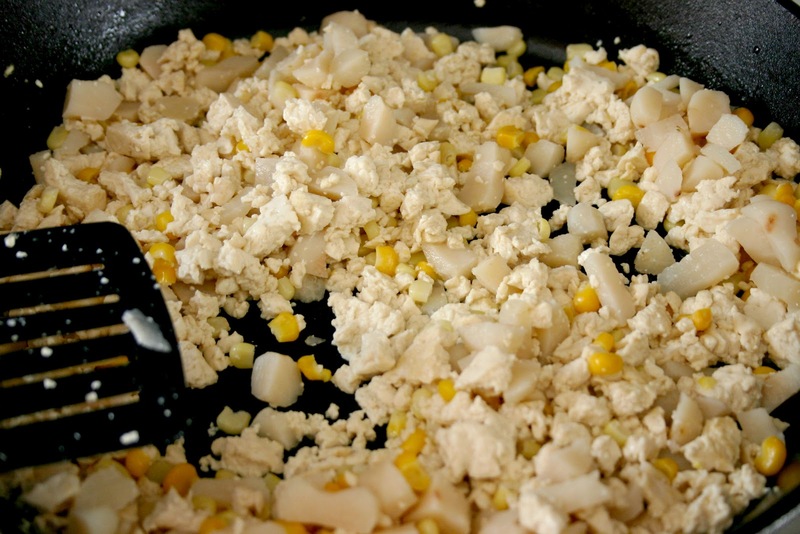 You are going to let the tofu simmer until it is all cooked out. Just don't forget to stir it around every once in a while. 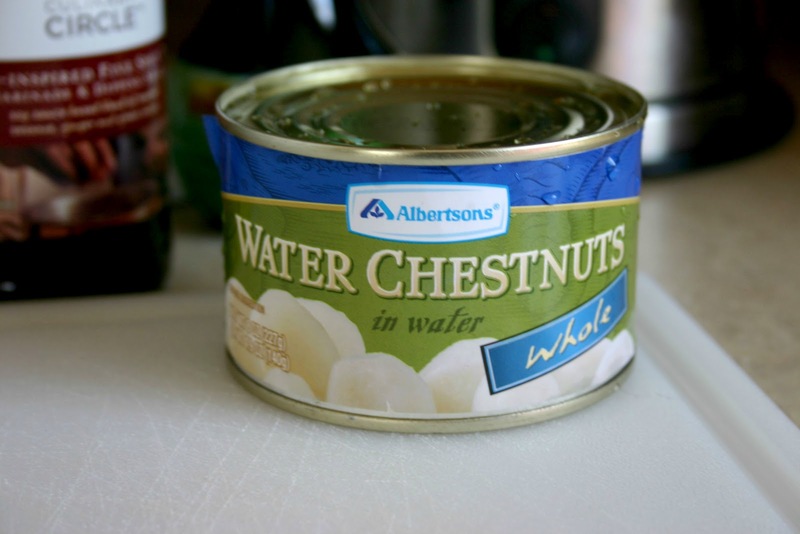 While my tofu is simmering over there, I break out my water chestnuts. Now maybe this is another weird food for you, let me tell you that it legitimately has less flavor than a cucumber, it is light and airy and completely there for the extra crunch. But if you can't get over the weirdness you can leave it out. This is what they look like, I would have bought them slivered but the store didn't have them. P.S. you can find these little guys in the oriental foods section. 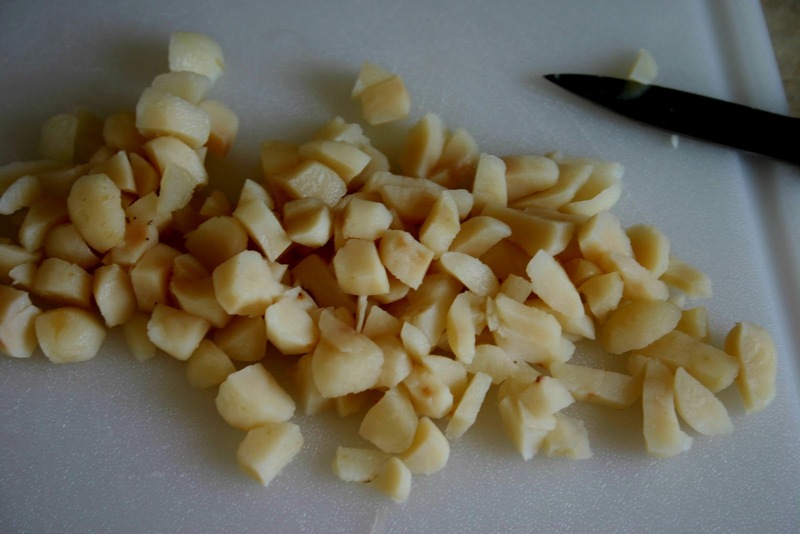 Here they are all cut up. 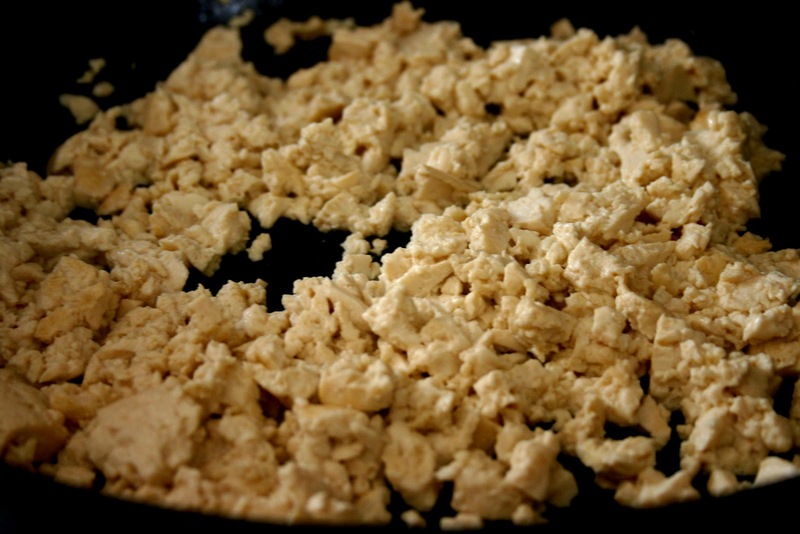 And what do you know, my tofu is ready. 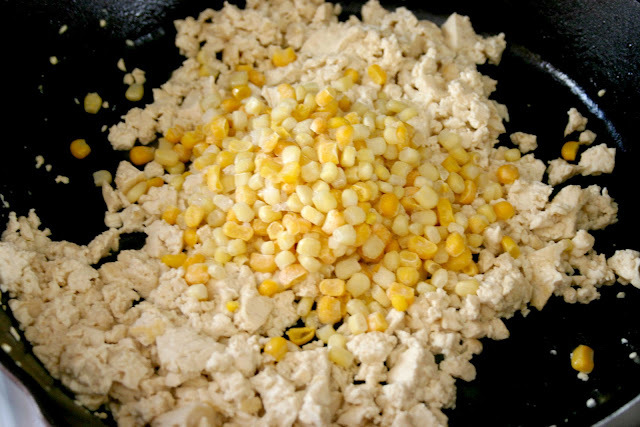 So now add some corn, fresh or frozen it doesn't matter, but I prefer frozen sweet corn. 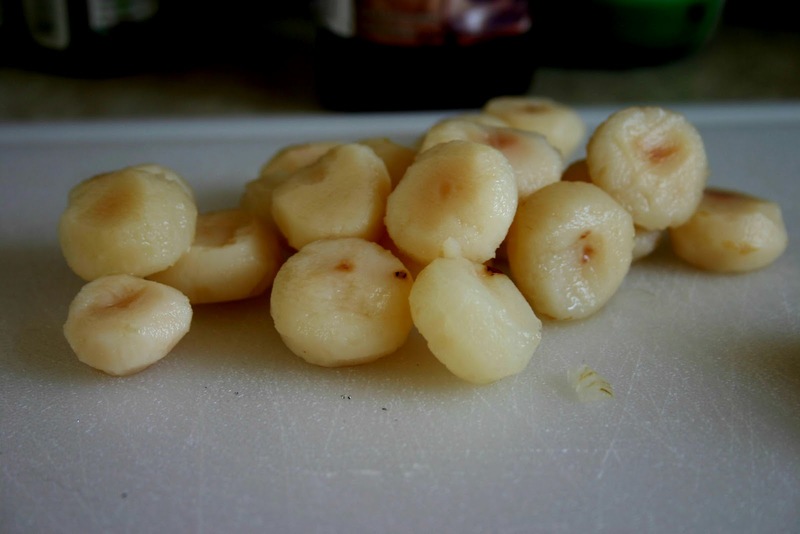 Once that cooks for a little while add your water chestnuts. Add some seasoning if you'd like.. Translation: season that baby like crazy. Salt, pepper, garlic powder, and chili powder if you're feeling crazy. Now pour soy sauce on the mixture and let it sit for a little while. Soy sauce is extremely high in sodium so I always use low sodium, because that is still 25% sodium..which is crazy. This is not a low sodium meal. How many times did I use the word sodium in that paragraph? Too many times. So now, to add some extra flavor I drizzle on some sesame marinade. 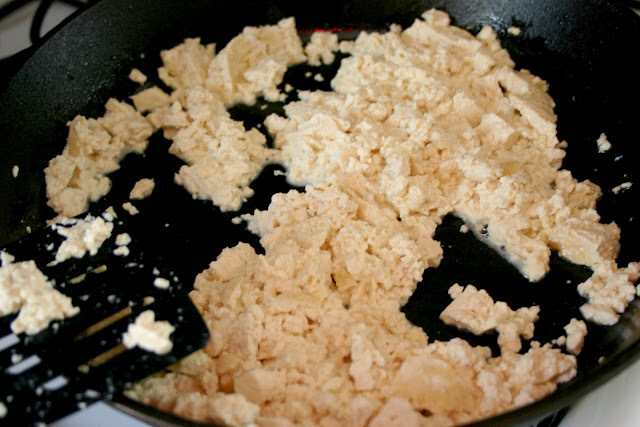 Stir it around and give it another 30 seconds for good luck. 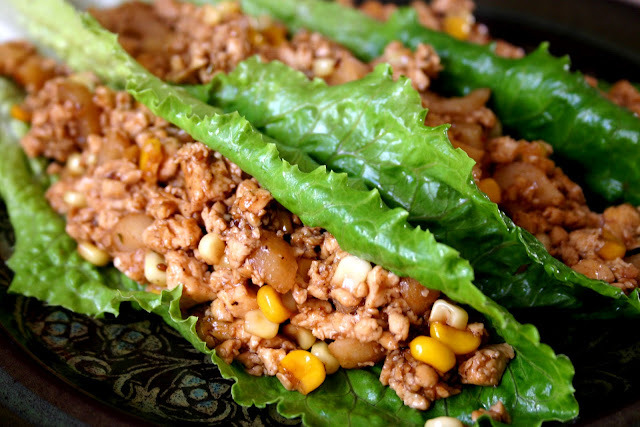 Now just choose some romaine lettuce leaves that are going to serve as good taco shells, stuff, and eat! Don't they look delicious? They taste even better. P.S. I've got to tell you, this meal looks long and complicated but it took me 20 minutes to make and the clean up was soooo easy. Simply put, it's the perfect mid-week meal. looks yummy! i bet ground turkey would be good for this too. 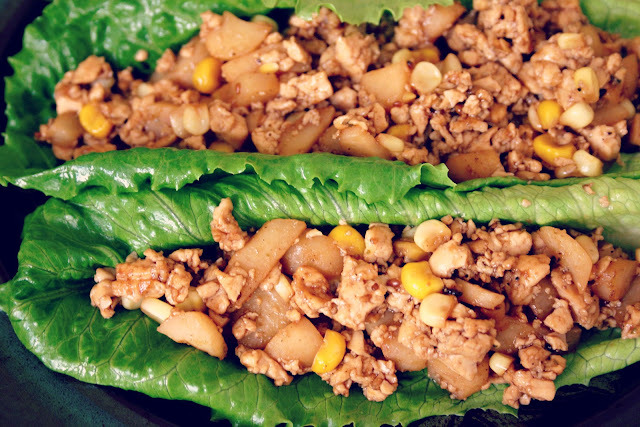 i like lettuce wraps!